Just one day after Jurassic World became the third highest-grossing movie of all time at the worldwide box office, Universal Pictures has officially announced that Jurassic World 2 is happening. Jurassic World stars Chris Pratt and Bryce Dallas Howard are set to reprise their roles as Owen Grady and Claire Dearing in the sequel. 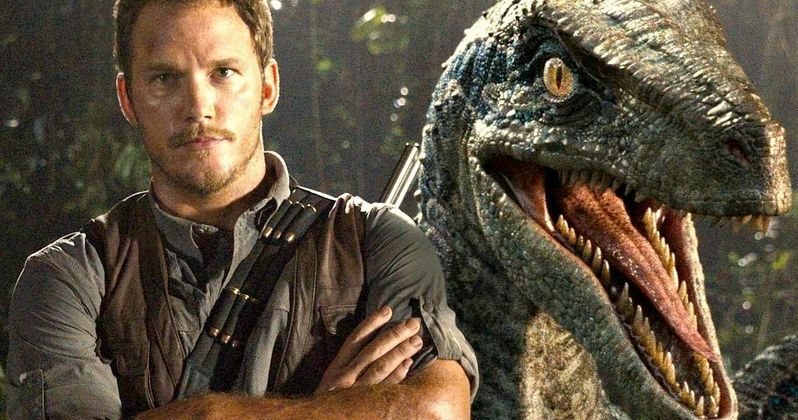 Jurassic World director Colin Trevorrow is returning to co-write the script with Derek Connolly, but Variety's report doesn't mention if he is directing the follow-up as well. The news of Chris Pratt returning isn't particularly surprising, since the actor revealed last month that his contract has him locked in for more sequels. Colin Trevorrow stated in a May interview that he would still like to be involved in Jurassic World 2, but not as a director, so it's possible that Universal Pictures are currently searching for a new filmmaker to take the helm, as he writes the script with Derek Connolly. Colin Trevorrow is also on board as an executive producer, alongside Jurassic Park director Steven Spielberg and producer Frank Marshall. Jurassic World is set 22 years after the original Jurassic Park, but it remains to be seen if there will be any significant jump in time between the blockbuster and this forthcoming sequel. We also don't know yet if other Jurassic World stars such as Vincent D'Onofrio, Ty Simpkins, Nick Robinson and Jake Johnson will be back for Jurassic World 2. Jurassic World has taken in $614.3 million at the domestic box office, and $1.522 billion worldwide. Jurassic World will open in Japan on August 5, its last international territory, so we'll have to wait and see if the blockbuster can break any more box office records. It still has a long ways to go before eclipsing the top two movies of all time at the worldwide box office, James Cameron's Titanic ($2.16 billion) and Avatar ($2.78 billion). It will most certainly overtake Marvel's The Avengers' $623.3 million take as the third-highest grossing movie domestically. Jurassic World was received positively by the nation's critics as well, with a 71% "Fresh" rating on Rotten Tomatoes. Jurassic World 2 currently has its June 22, 2018 release date all to itself, falling between an untitled Pixar movie on June 15, 2018 and How to Train Your Dragon 3 on June 29, 2018. What do you think of the inevitable news that Jurassic World 2 is happening? Is Netflix Planning a Jurassic World Project with Universal?